A beautifully engraved personalised wooden chopping board featuring a name and wedding date. 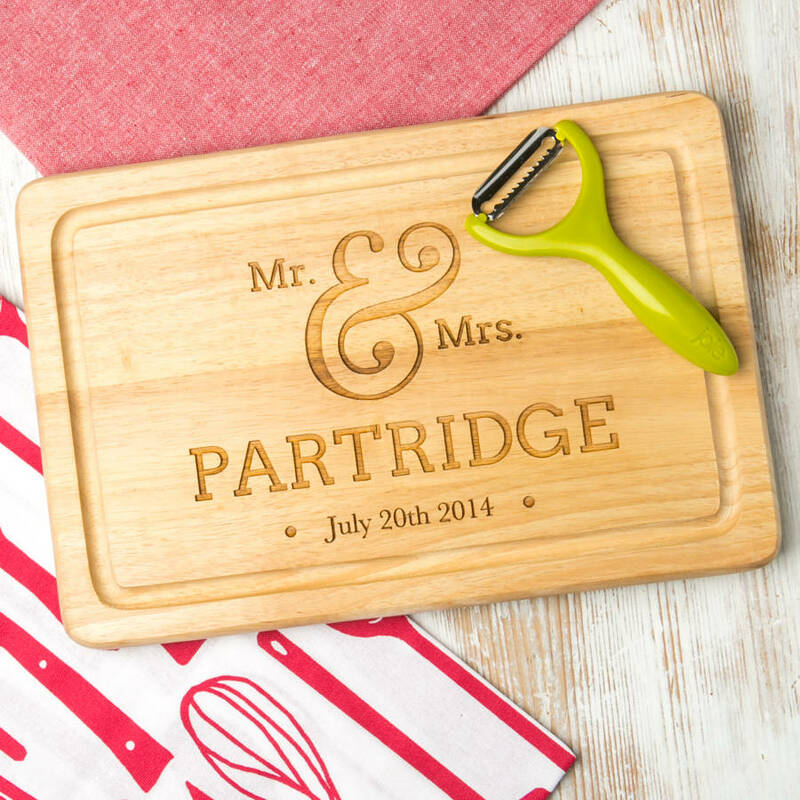 This personalised 'Mr & Mrs' board makes a great wedding gift for a happy couple, or as a housewarming gift for a new home. 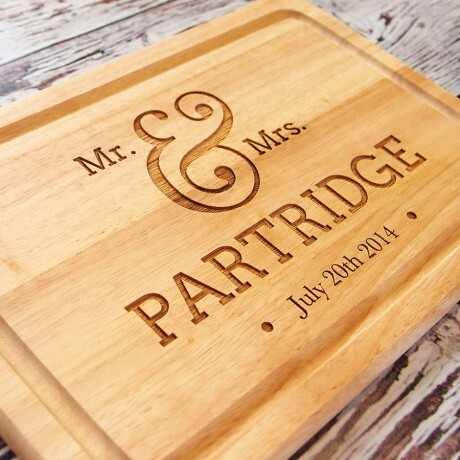 The cutting board will be engraved with the titles and surname of choice. 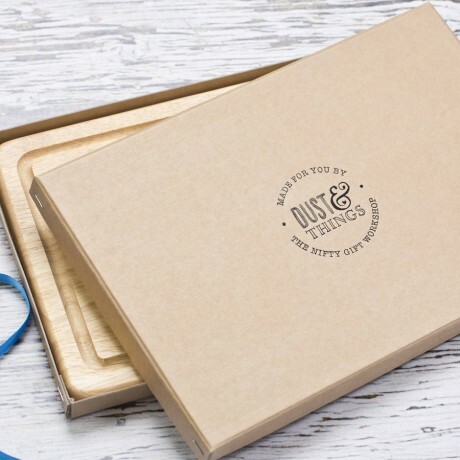 Perfect for displaying in the kitchen or dining room, the durable cutting board is also practical, as it holds up well to knife blades and is sure to spark conversation when used for serving. 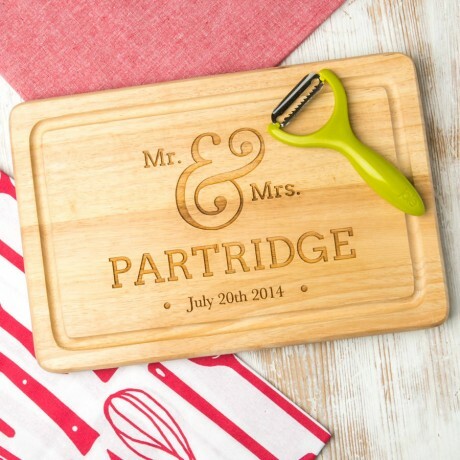 The rectangular chopping boards are a lovely shape and weight, perfect for the kitchen or to take to the table.